The metal hoard from Pile in Scania, Sweden. Place, things, time, metals, and worlds around 2000 BCE. Helle Vandkilde. 2017. The metal hoard from Pile in Scania, Sweden. 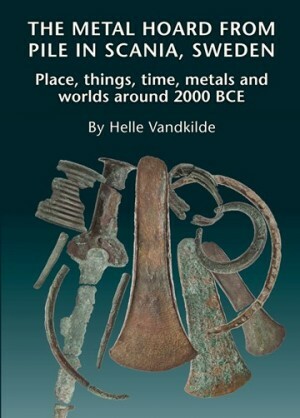 Place, things, time, metals, and worlds around 2000 BCE.. The Swedish History Museum, Studies 29. Aarhus: Aarhus Univerity Press; 978-87-7184-143-5 299,95 kr.